My friend Doug Clark invited me down to his church in Tyler, TX to do an Alongsider Clinic on the 27th of July. Grace Church has a wonderful staff and congregation. We had such a great time together thinking and connecting. We started up the morning with the discipleship theatre, a metaphor for how discipleship happens in a church. One hundred of us gathered for the five hour workshop. This is not an ordinary workshop. 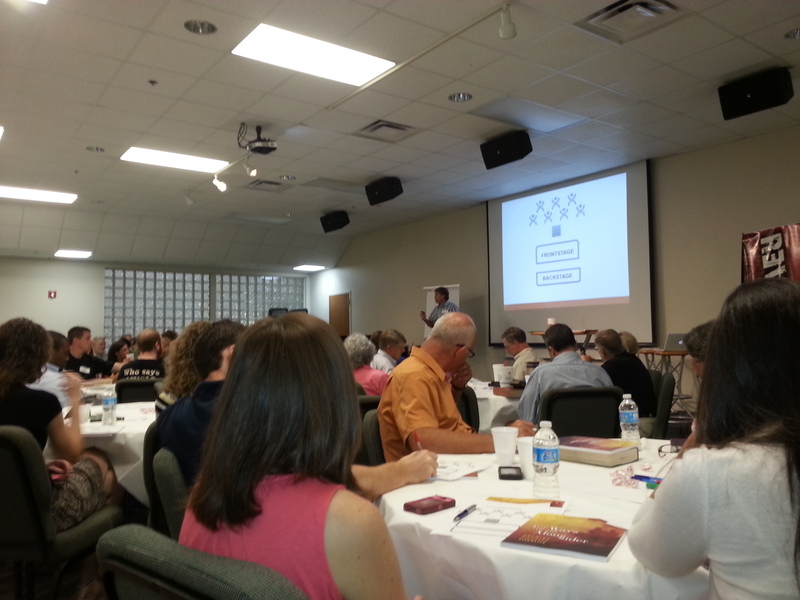 The attendees work, connect, and reconsider the elements of the disciple-making process. If I lectured the whole time folks would be bored out of their minds (I’m really not that good anyway) and they’d get less out of it. So we work the day with lots of interaction around the tables, set up by brief messages. At the end of the day people are surprised that five hours had passed by so quickly.